If you have grown tired of same, old handmade Valentine cards, it is time to give accordion fold a try. 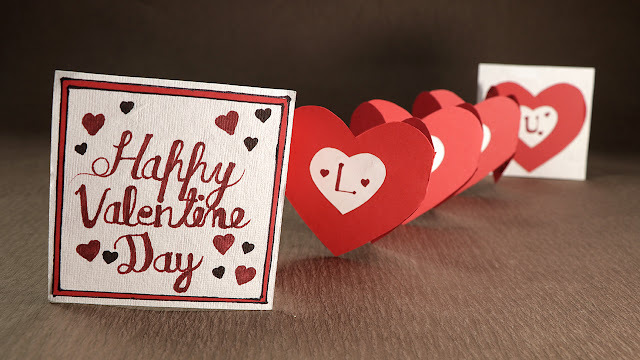 This Artsy Fartsy Tutorial will display you how to make a valentine accordion fold card. Out of all card making ideas, this is one of the unique homemade love cards you can ever find. Even if you have not made any handmade greeting cards before, you will find it very easy to make accordion fold valentine card. Just follow the stepwise procedure shown in the tutorial to make this card. If you want more handmade love cards, check out other tutorials on Artsy Fartsy for making stunning cards.